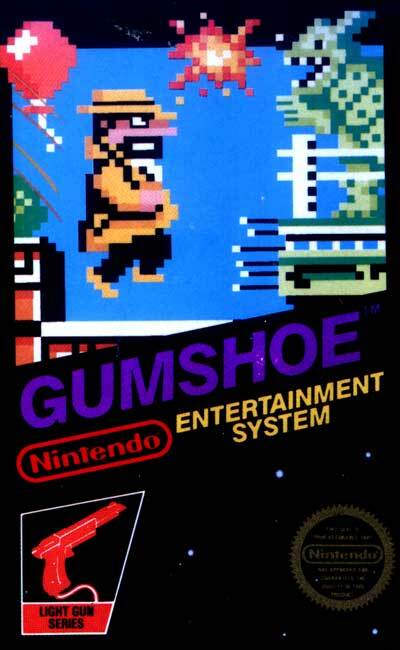 The player acts as Mr. Stevenson, the main character and a former gumshoe. Mr. Stevenson's daughter Jennifer has been kidnapped by a mafia boss, King Dom, and has to retrieve five Black Panther Diamonds within 24 hours. Defeating Zulie, who has eaten the last diamond, allows Stevenson to rescue his daughter by paying off King Dom. This results in King Dom kidnapping Stevenson's daughter the very next day requiring him to again retrieve five Black Panther Diamonds. In the game, Mr. Stevenson continuously walks to the right like a scrolling shooter. The player must shoot the enemies as they come on the screen. The world is laid out like a platformer, reminiscent of the Super Mario Bros. series, and the player can shoot Mr. Stevenson to make him jump. There are four levels of the game, with one Black Panther Diamond in each, with the exception of the fourth level, with two. The path is non-linear, and changes, depending on the route the player has Mr. Stevenson take (upper or lower). Some paths are longer than others. The four levels include a land level, an air level, a sea level and a jungle level. Shooting Mr. Stevenson to make him jump will not subtract from the player's ammunition. Shooting obstacles, or an empty area, however, will subtract one bullet from the total. Having Mr. Stevenson grab red balloons will add bullets.